I barely started drawing Leaning Man when his fast food order was ready (go figure). He left. Being short of sketch paper, I began the Beard Man’s portrait on the same page. Here they are. 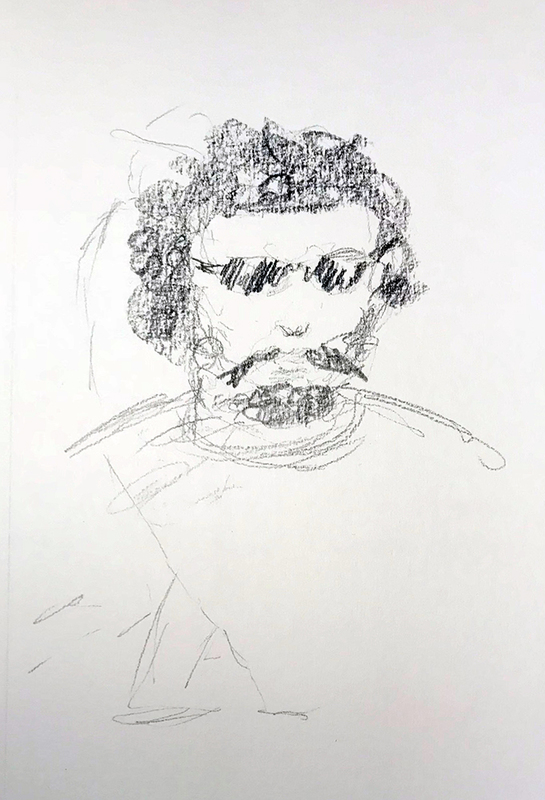 This entry was posted in Personal Stories and tagged 15 minute sketch, art, artistic process, creativity, drawing, palimpsest, pencil sketch, portrait, sketch, visual art. Bookmark the permalink.